Researchers here at the Manu Learning Centre (MLC) in the Peruvian Amazon publish much needed information on the reproductive cycles of two, elusive reptiles. The conservation status of the teiid lizard (Kentropyx altamazonica) and the Amazon Basin tree snake (Imantodes lentiferus) is unknown, as they have yet to be evaluated by the IUCN Red List of Threatened Species. This makes today’s published research in Phyllomedusa: Journal of Herpetology by Shirley Jennifer Serrano Rojas and colleagues vital in advancing scientific knowledge of these two species. The research was carried out here at the MLC reserve, where there is a highly diverse reptile assemblage and both species have been recorded at numerous sites. The Amazon Basin tree snake is an arboreal and nocturnal species that occurs in lowland rainforest of the Amazon Basin and Guiana region. The teiid lizard is a foraging species that’s associated with water edges and is distributed throughout Venezuela, Colombia, Ecuador, Peru, Bolivia and Brazil. Shirley and her team incubated and monitored egg clutches laid by the teiid lizard and tree snake, recorded data on the mothers and hatchlings, before re-releasing them into the reserve. 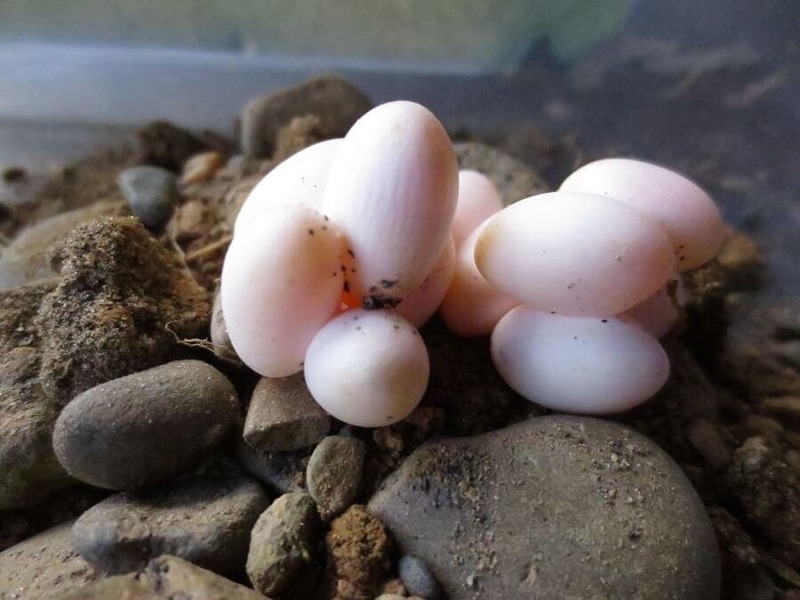 One of the teiid lizard’s clutch size numbered 13 eggs, which might suggest communal nesting; a reproductive strategy common among reptiles, often in response to environmental constraints or adaptations. Yet additional field data is needed to verify this possibility. Field observations on the reproductive biology of reptiles are particularly important in understanding their life history, ecology, and evolution yet data remains sparse for many tropical species. Without this information, it is very difficult to develop effective conservation management strategies. Globally, there is a severe lack of information on reptiles despite the fact that they are key components of their ecosystems and are threatened worldwide. In the most diverse regions of the world, like topical rainforests, declines in herpetofauna (amphibians and reptiles) are at their steepest – with habitat destruction, invasive species, exploitation, climate change, and disease all threatening their survival. Without more research and effective conservation planning, we could lose many species before they are even known. Here at the Crees Foundation we are committed to supporting Peruvian and international researchers, so that we can advance scientific knowledge on the Amazon Rainforest and contribute to conservation efforts worldwide.